HJF is seeking a Neuropsychologist through the Consortium for Health and Military Performance (CHAMP) in the Department of Military and Emergency Medicine, Uniformed Services University, to support the Special Operations Command (SOCOM) Preservation of the Force and Family (POTFF) program at Marine Corps Special Operations Command (MARSOC) located at Camp Lejeune, NC. 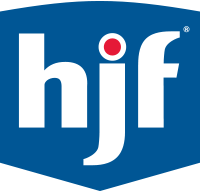 HJF provides scientific, technical and programmatic support services to CHAMP. Functions in capacity as a member of the medical staff performs duties as a Neuropsychology practitioner and consultant, with an emphasis on supporting baseline and follow-up neurocognitive assessment of command personnel to monitor changes in cognitive functioning. Must possess or be eligible for a secret security clearance. Performs comprehensive neuropsychological assessments using standardized neuropsychological, cognitive, and personality test instruments, as well as clinical interview and review of lateral data sources. Performs electroencephalography and quantitative electroencephalography (EEG/QEEG) assessments and provides interpretation of results. Analyze EEG/QEEG data to entify relevant trends impacting population health. Administer computerized neurocognitive tests, analyze test data, and entify relevant trends impacting population health. Conduct baseline and post-event neuropsychological screening and lect/analyze data and monitor trends in psychological health as ected. Selects established diagnostic evaluation procedures and scores tests data. Gathers case history, complaints, or other problem-related information for use in the evaluation and diagnosis of patients. Interprets validity and significance of data lected, prepares written notes that integrate the behavioral observations and test data, and makes recommendations for further action. Writes neuropsychological reports based on the results of neuropsychological data while also considering patient neuro-imaging findings, laboratory data, medical history, psychiatric history and presenting complaints. Utilizes computer software and databases to enter, retrieve, and update patient assessment data. Provides basic training in the administration and scoring of neuropsychological test instruments, as well as interview techniques, to military and civilian trainees as appropriate. Oversees BEG technicians, psychometrists, and/or mental health technicians in their day-to-day testing functions. Monitors the supply of neuropsychological testing materials and coordinates the ordering of needed supplies with. Health Services Support department. Supports assessment activities for military service members undergoing ion processes to enter Special. Operations organizations and programs. Provides psychological evaluations required by military schools and/or programs. Conducts command ected mental health evaluations performed JAW DoD ective 6490.4. Conducts neuropsychological evaluations required as part of the Medical Evaluation Board (MEM, TDRL (Temporary Disability Retirement List) status review, Physical Evaluation Board (PEB), and clinical consultation from various medical departments and services. Develop and maintain laborative working relationships with Intrepid Spirit Concussion Recovery Center at Naval Medical Center Camp. Lejeune and the Intrepid. Spirit Center at Naval Hospital Camp Pendleton. Develops, and participates in, informational seminars related to neuropsychology for active duty personnel. Travel to command assets at Camp Pendleton, CA, as well as attendance at planning and informational meetings regarding neuropsychological monitoring of SOCOM personnel (estimated 5% of hours). Shall assume additional administrative or clinical duties as requested or needed to ensure sustainment of normal organization operations and ensure compliance with. Joint Commission standards, to include, but not limited to, managing daily schedules, reviewing and dispositioning consults, monitoring appointment utilization and patient access to care, conducting mandatory clinical training. Obtain and maintain clinical privileges with assigned military credentialing authority. Directs Quality Assurance studies in the areas of responsibility. Required Knowledge, Skills, and Abilities: Ability to conduct comprehensive neuropsychological assessments. Experience with EEG/QEEG assessment, computerized neurocognitive testing, and Neurofeedback training is strongly desirable. Willingness to receive training in EEG/QEEG, computerized neurocognitive testing, and Neurofeedback is required. Experience with military medical system is desirable. Must possess or be eligible for a secret security clearance. Minimum Education/Training Requirements: Doctorate in clinical or counseling psychology from an American Psychological Association (APA) accredited program, and must have completed an APA approved clinical psychology internship. Candidate shall have post-doctoral training in neuropsychology in the of a clinical neuropsychology residency or clinical neuropsychology fellowship of one year or more. Candidate must possess, or be eligible to apply for, the ABPP board certification in. Clinical. Neuropsychology. Minimum Experience: 0 to 2 years post-residency/fellowship experience in the provision of neuropsychological assessments. Required Licenses: Possess and maintain a current license to practice psychology in any one of the 50 states, the District of umbia, Puerto Rico, or the U.S. Virgin Islands. Possess and maintain current certification in Basic Cardiac Life Support (BCLS) as certified by the American Heart Association.